For every advanced player, there is one thing that is indispensable here, that is High Power Mod. So how do we pick a vape mod that fits perfectly into our habits? I think you need to know about Paranormal DNA250C from Lost Vape. What is Lost Vape Paranormal DNA250C? This is a hot high power mod. This product uses zinc alloy as the frame of the product, and the magnetic panel design on the fuselage makes this product style more changeable. There are two types of panels in each product package, such as carbon fiber panels and pearl fish panels. The details of the entire product are exquisite, it is a luxury representative. 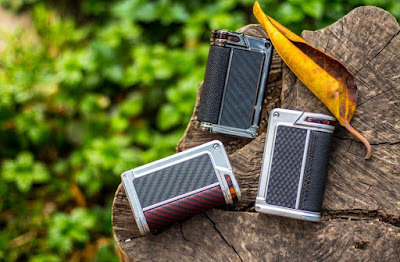 The two 18650 battery-powered devices, with the latest Evolv DNA 250C Board support, have a maximum regulation power of 200W.